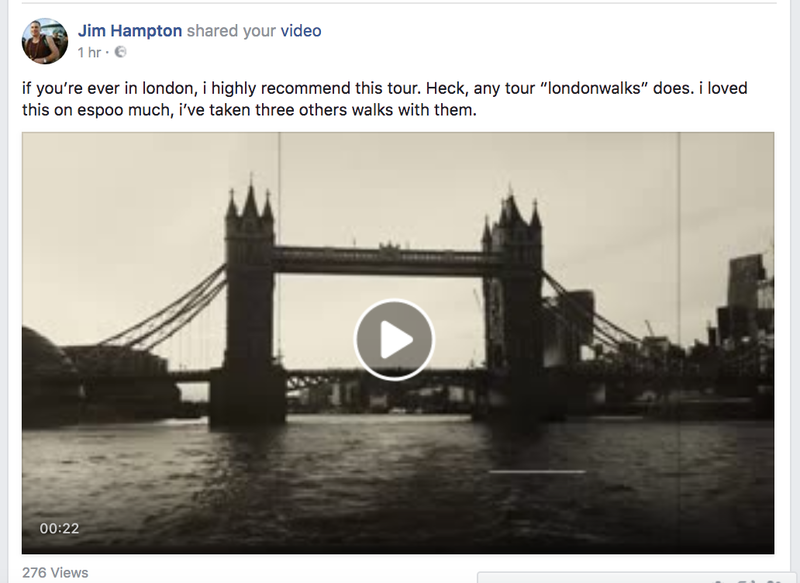 Yesterday we released the first in a series of short clips in which London Walks guides take us through their process in guiding the famous Jack the Ripper tour. 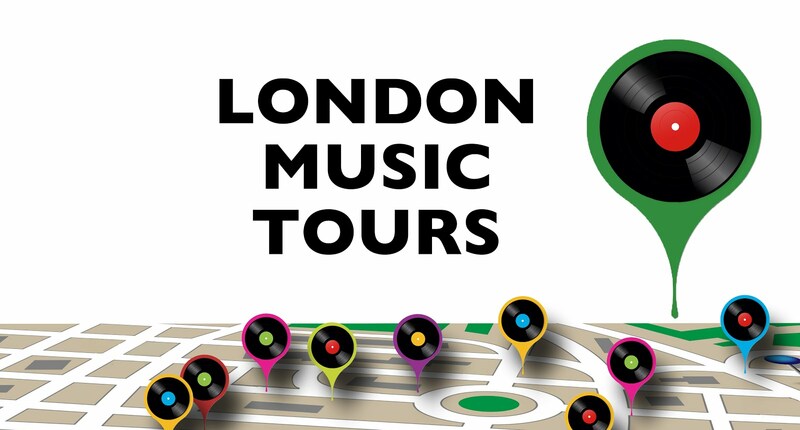 Jim Hampton wrote… "If you're ever in London I highly recommend this tour." 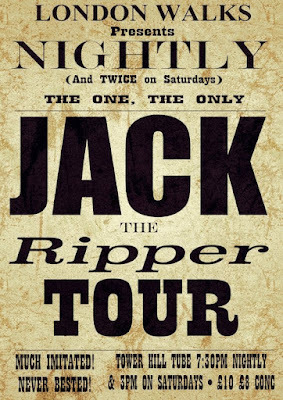 Thanks to Cheryl for this one… "I love, love, love your Jack the Ripper walk!" 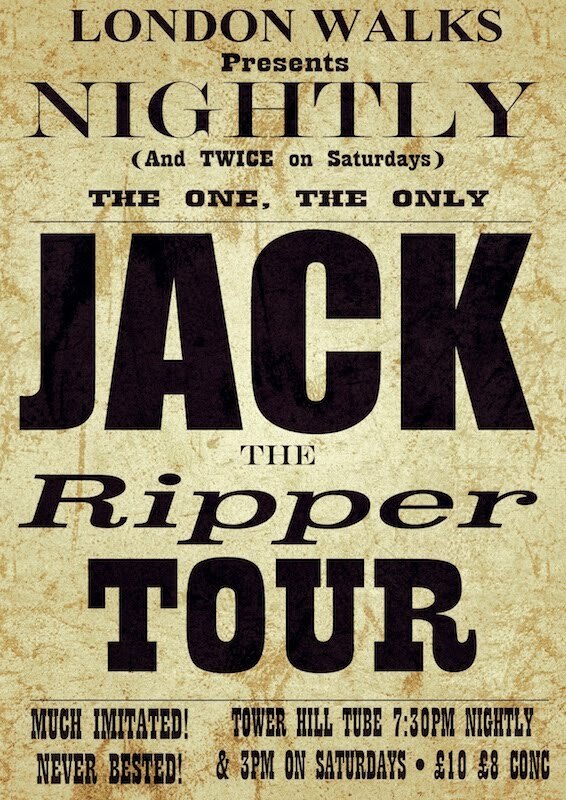 Delianne guides Jack the Ripper on Mondays. 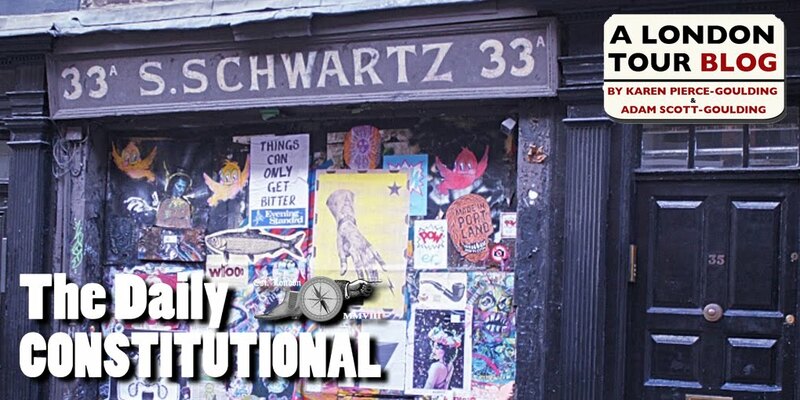 She's a (white) witch. The broom's a scarlet Jaguar convertible. The badge is blue, the hair's blonde, the nails are ruby, coat and boots are red, style's Goth, personality's big, IQ's Mensa, fun quotient's huge.